Andaman comprises 570 islands located in the Bay of Bengal. Out of all the islands, only 38 are inhabited. 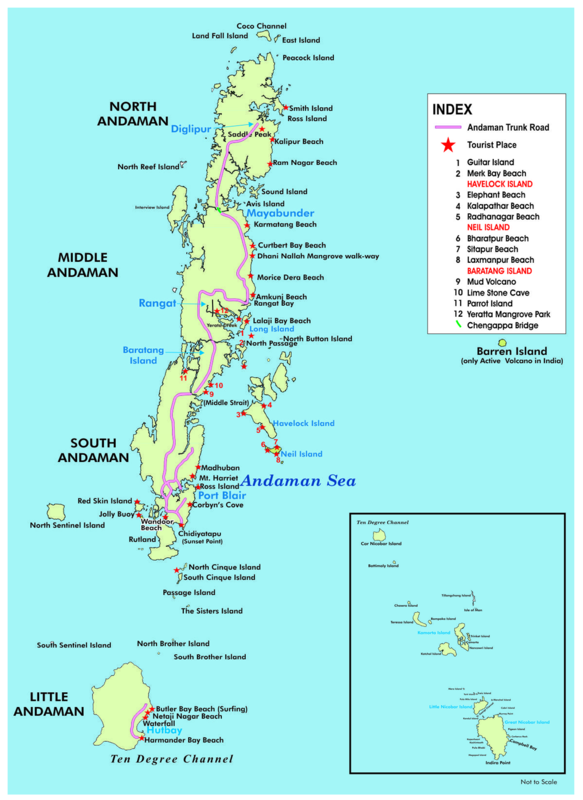 The map of Andamans is very useful for all travellers and tourists who are in Andamans for the first time and also for those who would like to travel throughout the length and breadth of the island on their own. The Andaman Map shows the Route Map and the Road Map. It also shows the primary tourist spots such as the beaches, the wildlife sanctuaries, monuments, museums, Port Blair Airport, Cellular Jail, the forests, the individual islands and the hotels and resorts.